Let's get started with the theme, title and colour code suggestions! May be we can do one on her adventure along with pikachu, where she meets most of her Fave celebs through the journey, finally ends up in London. Or she can be a judge to a Italian food competition, where her fave celebs are participating. 1. We (CC) can organise a screening of October or Sui Dhaga and then take her to the sets of Kalank (since she likes varun) and make her meet Varun. 2. Or we can gift her the autograph of Varun on her favorite book in a birthday party organized by CCs (like the CCs are grateful to have her and we organize a party for her) and also give her tickets to a couple of dance workshops (since she likes dancing). 1. 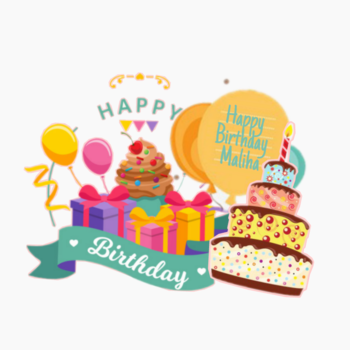 Main Tag : Happy Birthday Maliha! "I'm very excited for the New Year. I'm going to have fun celebrating that day with my family and friends, said Aditi. "Me too. The CC forum is being less exciting these days with all of us busy with our own works, replied Simmy. With a sudden spark of excitement she continued, "We could organise something fun to celebrate the New Year in our forum. Maybe, a party? We could all do with a break once in a while. What say? "Well! When you are in CC, there will always be something exciting to do, said Arthy. "We are going to have a party. It is not a New Year party though, but a birthday party. "A birthday party? But whose?, asked Aditi. "After being in Birthday subteam for this long, one would assume you people to have a track on birthdays, Yuvi said. "Well! We ain't called nikamme CC for nothing, laughed Simmy. "Back to the discussion in hand, it's one of our lead's birthday on the 2nd of January and we are going to throw a party for her, said Arthy. "That's cool!, exclaimed Aditi. "Jan 2? I guess I know who it is. "The current lead of Games and Contests Sub team', right?, asked Simmy. "The same!, asserted Arthy. "But, what are we going to gift her? "She likes dancing. She'll be interested in dance workshops. I heard there's going to be a free-style dance workshop held this weekend near the place she lives. We could maybe gift her a ticket to that workshop. "Nice idea, Aditi, exclaimed Simmy. "We can also gift her the Mario' game. I have heard she likes to play that. Something nostalgic! What say? "That's a cool idea! She also likes basketball too. We can probably gift her a basketball. A basketball is too simple, she can buy it anytime, anywhere. But it would be special if we could get that ball signed by two of her favourite actors Varun Dhawan and Shahid Kapoor., suggested Yuvika. "That would be a terrific combo!, exclaimed Arthy. "I have an idea too. What's that one thing every person loves to do? Sleep, of course. And she loves sleep too. Therefore, I think that the best present for her would be a very very comforting quilt along with her all time favourite book Oliver Twist'. What say?, asked Arthy with a huge smile. "Well! All four presents suggested are very lovely. How do we choose one?, enquired Aditi. "Correct! All of them are good., agreed Yuvika. After pondering on it for some time... "Why should we choose one? Maliha has served the Crazy Creatives for four good years. She has stood by the CC and has helped us whenever needed. So, as a token of appreciation for those four golden years, we will present her with all the four gifts. A ticket to a dance workshop, a basketball signed by Varun and Shahid, a Mario game and of course, a comforting quilt with a hard copy of Oliver Twist. "We hope the birthday girl is having fun. "The party is amazing, Simmy. I'm loving it. 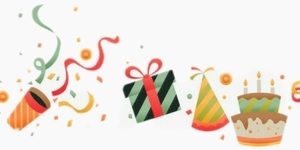 "Then, it's time for presents now!, added Aditi. "Well, here they are!, exclaimed Yuvika and Arthy carried two gifts each. "For your support to the CC, one each for every year. Happy Birthday Maliha / pancakes!